Unicorn design rubber stamp for colouring in by Skull and Cross Buns. 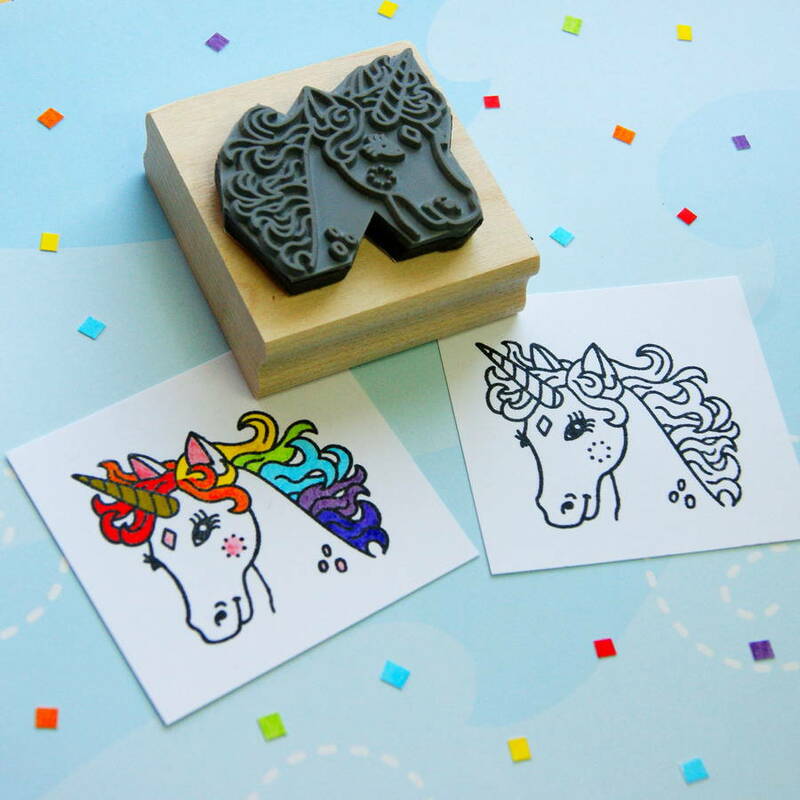 How much fun could you have colouring in this rubber stamp?! This stamp of a pretty unicorn with it's flowing mane and distinctive horn is perfect for stamping up for some relaxing colouring in whilst making birthday cards or party invites for little (and big!) unicorn lovers or for the children to make their own cards. ALSO AVAILABLE IN A PERSONALISED VERSION (LINK BELOW). Can also be stamped in one colour only to make effective giftwrap. This stamp does not come with any ink pads. 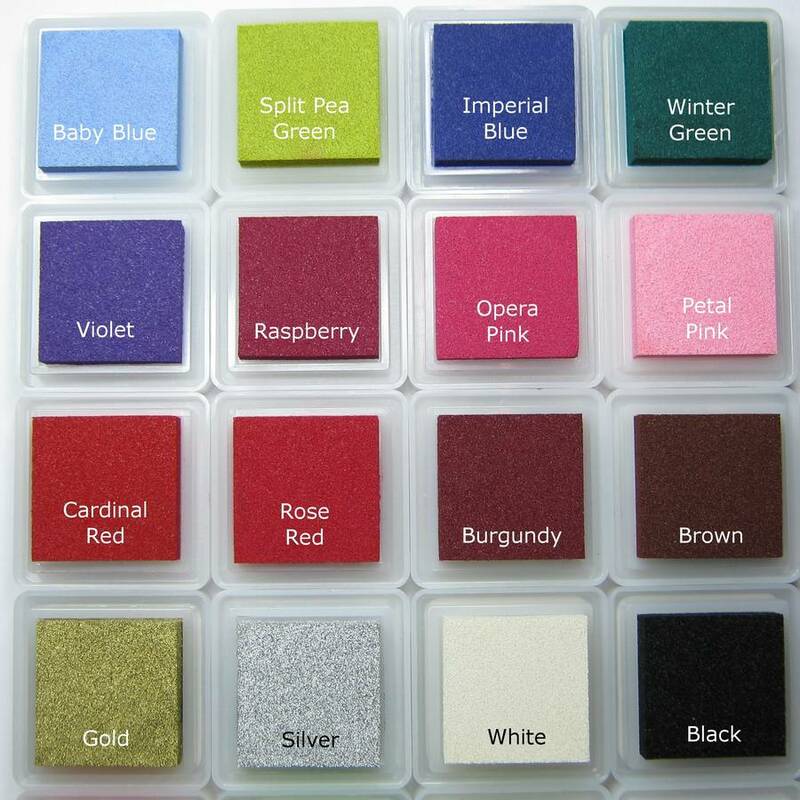 Pigment ink pads are available to purchase separately at £6 - £7 for a large pad (7.6cm x 4.7cm). IF YOU ARE PLANNING TO COLOUR IN WITH MARKER PENS THE FAST DRYING INK PAD IS THE BEST CHOICE AS IT IS WATER RESISTANT. I recommend these pigment ink pads to get the best results with the rubber I use. These ink pads are raised so you don't necessarily need the same size pad for your stamp, simply turn the stamp rubber side up and dab the ink pad all over from above for an even coverage of ink. Ink pads are fade resistant and non-toxic. Please note the White colour is not as opaque as the other colour ink pads (there are very few white ink pads manufactured which are, unfortunately) but this is one of the more opaque ones available. These stamps start out as one of my hand drawn designs which are then beautifully reproduced out of artisan quality grey rubber, pressed using traditional methods within the UK. I then trim them by hand and mount them onto tactile wooden blocks, also UK sourced. These grey rubber stamps are not hand carved like some of my Skull and Cross Buns stamp range but still print just as perfectly. To clean after use simply dab the stamps onto a damp kitchen towel or alcohol free baby wipe, please do not rub the stamps. Size of stamped image is 4.5cm x 3.9cm. (1 13/16" x 1 1/2"). Wooden block can vary very slightly than the one shown, it will always be perfectly suitable for the stamp though. This product is dispatched to you by Skull and Cross Buns Rubber Stamps.